Frogner House is a serviced apartment operator in Oslo offering over 400 apartments in 13 locations across the Norwegian capital. Our portfolio has a range of options from studio to 4-bedroom apartments suitable for both long and short-term stay. All our apartments can be booked online from our website as well as OTAs. 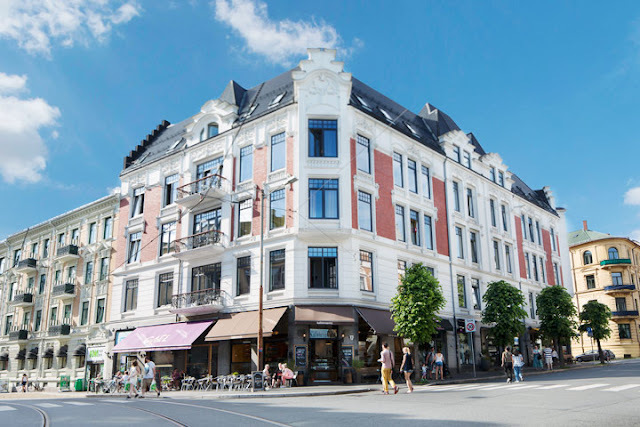 When we started in 2005 by converting the well-known Frogner House Hotel into serviced apartment blocks, the ‘Serviced Apartment’ concept in the Scandinavian market was still at a very nascent stage. Buoyed with our early success, we overhauled our system and concept in 2009, and focussed on expanding our portfolio. The Nordic hotel market is characterized by regional operators that have a strong position. A major oil business destination, Oslo gets a sizable number of visitors from Europe and USA, and hence it is important for us to be visible in these markets. We have been using Protel as our property management system for some years now, and tried another channel manager to manage OTAs. However, the experience was far from satisfactory due to excessive mapping and manual allotment. After all, updating rates and availabilities for over 400 apartments in different categories across multiple OTAs is a time-consuming affair, and we were struggling. This being a labour intensive process, there were high chances of human error. A tiny mistake in rate or availability, and we could have lost out long-stay guests causing revenue loss. Being popular choice of guests, not having the ability to immediately update our rooms and rates was a potential handicap for our revenue stream and constant hindrance on our revenue management team. I came to know about eRevMax at a hospitality trade event in 2013, and immediately liked it because it was easy to use and understand. It also offered seamless connectivity with all leading online travel sites we wanted to connect. That it has already integrated with Protel was a bonus, and, we implemented RTConnect, their enterprise connectivity service automating the distribution process for each property in 2014. The best thing about the solution was to manage all our properties centrally and enjoy the support of centralized contracts with distribution channel easily. We are always visible online by continuously distributing our live rates and inventory to multiple booking channels, and deliver updates back into our property management system (PMS) in real-time, without worrying about overbooking. Right away, we experienced positive results. Over the last 2 years from 2014-2016, we have seen our online sales grow 240% with a 305% increase in room nights via online sales. We have experienced an overall growth in business and our occupancies have gone up by 15%. This brings me to mention how reliable RTConnect is as a connectivity solution and the system uptime that eRevMax offers – considered amongst the best in the market. We are also using RateTiger Shopper, their rate intelligence service to monitor our competitor rate movements and closed-out dates. From the LIVE OS dashboard, we keep an eye on key producing markets, analyse channel performance, demand index and accordingly adjust our rates and availability for maximum yield. The LIVE OS dashboard is pretty cool – there are in-built tiles that provide quick summary of reservation, budget, booking pace etc including a shopper tile which shows us how we match against competitors. I can easily say that we have not yet been able to utilise the full potential of these tools. Which brings me to recommend the excellent support that eRevMax offers. Our Service Manager Isabella Angela Grundman has been a great support and also a major reason why it’s been such a pleasure working with eRevMax. She is always ready to guide us in the right direction and gets our queries resolved on priority.